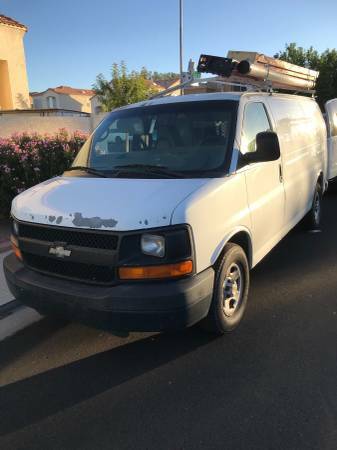 I’m selling my 05 Chevy express 1500, cargo van, ready for work, 179,000mi,good auto transmission,6 cyl.,ladder racks, shelves, runs great, AC, white paint coming off from a few spots, driver seat tearing seat covers will Due the work, No oil leaks, No check engine light on. Asking $6000 o.b.o Serious offers only. No BS! Local buyers only no scammers.